Civic amenity sites are reserved, allotted by BDA to the Central and State Government departments or agencies established by these Governments. After making allotments to Government agencies, the remaining sites are notified in the newspapers for allotment.The purpose for which it is proposed to be allotted, the dimensions of the site, value of the site, advance to be paid etc., are given in the notification.The BDA shall consider the applications on merits based on the public causes served, financial position of the institution, its performance so far etc. Allotments are considered for institutions, societies, or associations registered under the Karnataka Co-operative Societies Act, Karnataka Societies Registration Act or registered trusts created wholly for charitable, educational or religious purposes. CA sites are allotted on lease basis for a period not less than thirty years. The institutions seeking allotments have to register themselves by paying Registration fee which will be valid for subsequent allotments also unless the registration is withdrawn. Concession is given in the lease amount to an extent of 50% to the institutions established for the welfare of physically and mentally handicapped, to the educational institutions teaching only Kannada medium and other Governmental agencies. Lease agreements are executed and registered after which possession of the site will be handed over to the institution. The institution should put up the civic amenity building within three years. In deserving cases extension of time will be granted. If the construction is not made within the permitted period, the allotment will be cancelled and the amount paid will be refunded after deducting 12½%. After expiry of the lease period, the CA site along with the buildings put up by non-governmental institutions will vest with the authority. There is no instance of BDA resuming the site after the lease period. In one case of CA site, the BDA was forced to extend the lease. When the institution is established in the CA site it is difficult to terminate the lease practically. In another case of CA site, the site allotted for the purpose of Eye hospital was misused. Around this considerably big CA site commercial complex was built with large amount of income to the lessee. Even the remaining open area is being given for marriage functions; and hardly there is any eye hospital activity, but the BDA did not took any sort of rectification steps. While handing over layouts developed by BDA/housing societies/ institutions / private developers, no CA site will be left un-allotted by BDA except the parks and play grounds. Even after the layouts are transferred to BBMP the lease amounts of CA sites will have to be paid to BDA. 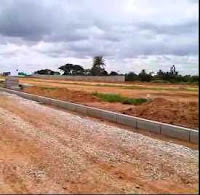 Further misuse of CA sites will take place after transfer of layouts.In most of the cases misuse is for commercial purpose facing the road, with CA activity being conducted in the rear portion. Karnataka Housing Board also allots CA sites in their schemes to institutions. The lease is for 10 years. Two year’s time is given for construction of buildings, failing which the CA site will be resumed. Twin factors that are propelling Karnataka Housing Board are its Vision, to improve the quality of life by establishing self-contained communities with state of art amenities that are in harmony with the environment, and its Mission.In pursuance of its objectives, the Karnataka Housing Board is gearing up to meet the new challenges by restructuring and computerization of its Offices by many innovative customer friendly measures and transparency in its entire functioning. -Allotment of new properties will be as per the regulations of KHB. -All those registered with KHB may get confirmation of their registration by paying initial deposit.However,priority would be given to those who have registered earlier and paid initial deposit. -Balance amount of the cost of the house/site should be paid in three quarterly equal instalments before the completion of the project as soon as intimation is received; however, failure leads to cancellation of the allotment and forfeiture of 25% of initial deposit. -Discounts to the allottees will be allowed for delay in delivery of properties. -Absolute Sale deed will be issued at the time of handing over the possession of the house/site, on full payment. Another significant development is the importance given to redressal of public grievance. Help desk at Central Office, Public Relation Officers in all field Offices, timely response to grievances, are some of the customer friendly measures.Land Audit is being undertaken to verify the lands procured and acquired. KHB aimed at Zero old liability by clearing all its old liabilities by resources of selling the existing properties and intensive recovery drives.Interactive voice response system will give the information to public round the clock.They may also record their grievances over telephone. The online monitoring of the projects has helped to ensure timely completion of the project, because of close supervision, review, evaluation and follow up action. Construction/Purchase of House requires substantial funds and repaying in given time; and it attract normal equated monthly instalments. While some other loans are required to repay in less than five years period and such loans attract heavy equated monthly instalments; and this sort of facility is more suitable to avail finance for repairs and renovations. Due to the reduction of rates by the RBI, the normal lending institutions/Banks are bound to reduce the interest rates on home loans, as such, this is the most opportune time to transfer the loans to exploit the benefit of low interest rates. (c) equated monthly instalments affordable. If the balance repayment period is less than five years, they may transfer the loan to an institution which charges less than 9%. They may choose to pay the same EMI, which they were paying earlier, so that loan gets closed earlier resulting in considerable savings in interest. If not affordable, they may also agree to repay the loan in 5 years with reduced EMI. In case, the balance repayment is more than five years, examine the balance outstanding and the EMI affordable; and in such case, if the balance repayment period is more than 10 years, transfer the loans, where less interest is charged. Shifting from annual reducing to daily reducing in the present low interest period is prudent to derive maximum benefits. Benefits may not be maximum, unless the transfer of loan is properly timed. The borrower should ascertain the type and date on which interest is charged. In case of annual reducing method, the interest is charged on 31st March every year. In case of monthly reducing, generally interest is charged to loan on 5th of every month. As such, transferring the loan on the day on which the interest is charged or slightly earlier is advisable. Penalty of generally 1% on the outstanding balances is charged on loans transferred. Similarly processing fee/admission charges are levied on incoming loans. Compare the charges with the interest saved before requesting for transferring the loans. Finally one has to decide whether to prefer floating rate or fixed rate on transfer. As the interest rates have been reduced, fixed rate seems to be a better option, so that one may shift to floating, in case of further reduction. Buying a house is not difficult for NRIs any more as the NRI Housing Loan makes the property investment a lot more convenient. Any individual staying abroad for employment or for carrying on business or vocation outside India or for any other purpose in circumstances indicating an indefinite period of stay abroad are eligible for NRI Housing loan. Apart from that, government servants posted abroad on duty with the Indian missions or deputed abroad on assignments with foreign Governments or regional! International agencies are also entitled to these loans. NRI Housing loan is offered by some of the premier financial institutions and banking in India such as ANZ Grind lays Bank, ICICI Bank, HDFC, HUDCO, CITIBANK, LIC etc. As an NRI, you can avail a maximum loan of Rs.1,00,00,000/- or 85% of the cost of the property including the cost of land, whichever is lower. The rate of interest will vary from 11.25% to 14.25% per annum depending on the financial institution. At the time of making application for the loan a processing fee is payable which will vary between 1% to 2% of the loan amount applied for depending on the institution. The amount of loan to be borrowed will depend upon a person's repaying capacity. To arrive at the repaying capacity banks do take into consideration factors such as income, age, qualifications, work experience, number of dependants, spouse's income, assets,liabilities, stability and continuity of occupation, alternate employment prospects when the concerned person returns to India and savings history. · Identity card issued by the present employer. · Visa stamp on the passport. · Continuous Discharge Certificate (if applicable). · Overseas Bank Account Statement for the last few months. · Receipts for payments made for purchase of the dwelling unit. · Copy of approved drawings for the proposed construction/ purchase/ extension. · Agreement for sale/sale deed. · A detailed cost estimate from Architect/Engineer for property to be purchased/ constructed / extended Allotment letter. Once the loan is sanctioned, the period of repayment of the loan is determined which normally falls in the range of three to ten years.Loan can be repaid through Equated Monthly Installments(EMIs) comprising principal and interest. EMI payments can be made through post dated cheques from your Non-Resident(External) Account/Non-Resident (Ordinary) Account in India. Computation of income from house property is to be made as per the provisions of Section 23 and 24 of Income tax Act, 1961 for every assessment year, commencing from assessment year 2002-2003 onwards. 1.The method of allowing deductions towards vacancies and unrealized rent after computing the net annual value is discontinued. Instead, these deductions will be considered at the beginning itself to arrive at annual gross value. 2.Various deductions are merged and 30%* of net annual value is allowed. However deduction of interest allowed on borrowed capital continues. 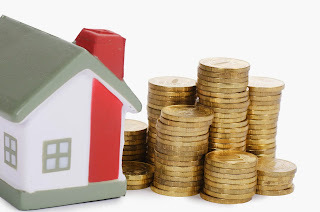 The following procedure navigate the steps in computing the income from house property. (a) Arriving of gross annual value. (b) Determining net annual value. *Plz check the percentage for latest period. Actual rent receivable at Rs.2,500/- p.m. Note 1: Gross Annual value – The Actual rent receivable at Rs.2,500/- per month is adopted, since it is less than Standard rent. Actual rent received is only Rs.25,000/- since the property was vacant during Nov. and Dec. 2002. Note 2: An over all deduction of 30%of the net annual value is allowed. No separate deduction is allowed towards collection charges. In legal terminology, rental agreements also known as lease agreements refers to the transfer of an immovable property for a specific period of time in consideration of a specified price on certain terms and conditions contained therein. The person who transfers such a property is called the ‘Lessor’, and the person who accepts the transfer is called the ‘Lessee’. Therefore, a Lease means the transfer of property to the Lessee, who has only the right to make use of the property for a particular purpose and for a fixed period of time. A Lease agreement is an agreement or a contract between the owner or the holder of the immovable property and the tenant who enjoys and makes use of immovable property. The amount charged for using and enjoying the immovable property is called ‘rent’. In the Transfer of Property Act, the owner is referred to as the ‘Lessor’, and the tenant as the ‘Lessee’. Therefore, it is better to stick to these terms while drafting a lease agreement. If the rent is paid on yearly basis or if the period of lease exceeds one year, then it is necessary to register the lease agreement. It is a common practice to terminate the agreement at the end of every eleventh month and then enter into a fresh lease agreement. This is done to only to avoid high stamp duty and registration charges. An agreement to lease should be drafted carefully and properly to protect the rights of both the parties and to avoid any misunderstandings in the future. It should be fair to both the Lessor (landlord) and the Lessee (tenant). It should mention the parties to the deed, the description of the property being transferred, the duration of the lease, the monthly rent payable, the date of payment of the monthly rent; the clause for enhancement of rent on renewal of the lease period. The amount of interest free refundable security deposit, penalty clauses in case of rent default, liability of the Lessee for damages to the property and the fixtures and fittings, notice period in case of early termination of lease; the date of commencement of lease and the date of expiry of lease; the notice period and manner in which the notice will have to be served must also be mentioned. The Lessor should ensure that the Lessee pays the earnest money deposit; pays the rent promptly, pays the electricity and water bills within the due dates; makes no structural alterations in the premises or causes damage to fixtures and fittings; does not use the leased premises for immoral or illegal purposes; does not store hazardous and inflammable materials like explosives; does not cause nuisance to the co-tenants; maintains the premises properly and at the end of the lease period the lessee should get back his deposit without any hassles. Ideally, during the sustenance of the lease period, the Lessee should enjoy the use of the premises without any interference from the Lessor; be in a position to demand proper receipts from the Lessor against the monthly payments made to the Lessor, pay water and electricity bills promptly and, at the end of the lease period, handover the premises to the landlord in a tenantable condition, get back the earnest money deposit without any reduction, and depart on a friendly note. However, all said and done problems do crop up for reasons beyond the control of the parties concerned. There are instances galore where landlords, for genuine or false reasons, fail to return the deposit or make unreasonable deductions on flimsy grounds even after receiving proper notice from the tenant. In either case the tenant is bound to suffer. Certain landlords who depend on rental income often fail to pay back the deposit amount in time. Many landlords do not re-invest the money and instead often use it for personal needs. Thus, when the tenant issues notice, the landlord often requests the tenant to vacate the premises so that he could collect deposit from new tenant for refunding the deposit. The tenants invariably do not vacate the premises. For fear of losing the opportunity and means or recovering their deposit from the landlord. After vacating the premises what happens if the landlord does not refund the deposit is the moot question. This leads to the vicious circle of “you-pay-then-I-leave, you-leave-then-I-pay” and leads to avoidable animosity between the parties. If the tenant does not pay the monthly rent, it is adjusted against the advance. For the landlord it is a “heads I win, tails you lose” situation. Even after exhausting the advance, if a tenant does not vacate the premises, the landlord usually resorts to arm-twisting methods to get back the premises. All these problems can be solved amicably through mutual discussions or the aggrieved party can always seek remedy through legal means. 8.96% on the amount equal to thrice the amount of annual average rent. Joint possession or occupancy is made by grant, device, and dissension. once a property is purchased by quite one person put together and therefore the deed will specify that the every vendee has separate interest within the property, the possession is named joint occupancy. The joint occupancy has four characters. Unity in title, unity in interest, unity in possession, and unity of your time. every owner has common interest within the property as a full the interest of the every of the house owners is comparable in extent, nature and period. Similarly once the property is bequeathed put together to quite one person, while not specifying the every beneficiaries specific share, the owner-ship is joint occupancy and interest of every is comparable in extent, nature, duration. No easy owner has priority of title interest, right over others or separate interest right or title. Acquiring the property below joint occupancy by dissersion quite one person enter into possession while not title below such circumstances, the statutes of limitations possession titled in joint occupancy unless the circumstances purpose to contrary. In case of joint occupancy or joint possession the property goes to the opposite co-ownership, survivorship and nor to the legal heirs of deceased co-owners. this idea of joint occupancy is essentially a British thought, however unknown in india except in cases of joint family property of undivided family ruled by Mithakshara law. Law wherever the passes by survivorship. It’s to be noted that transfer of property act doesn't offer for formation of joint occupancy. but Section forty five of the act states that once a property is purchased for thought by quite one person and once the thought is paid out of common fund, bequeathing to any or all, and once the terms of contract doesn't offer, however the property is to shared, right, title and interest of all the purchases is as that of what they are entitled to the common fund and within the absence of proof of share of every in common fund all are plausible to be equal interest. The joint occupancy is in our country is associate outcome of contract and nor a matter of law. As such if just in case of joint purchasers, if the purchasers, needs to the property to command as joint tenants. Wherever the succession is by survivorship, a selected clause thereto result ought to be additional within the document. Within the absence of such clause, the 2 courts could take into account the title of occupancy in common. We tend to may additionally talk over with section 106 of succession act 1925 that acknowledges the joint occupancy. The section states that if an quality is given to 2 a lot of pensions, put together and if one in all the beneficiaries dies before the person can (one who makes the will), the opposite beneficiary takes the complete property. This section is applicable to Hindus additionally. although this section prefers to solely 2 beneficiaries, it's been command that relation to quite one person put together means that and includes not simply 2 persons. This mode of joint occupancy is of solely temporary nature and ceases once one in all the owner allotted his undivided share to a 3rd party or once of the, owner contract to sell his share, by mutual agreement of all the house owners by reverence of possession or partition, by notice by one or a lot of house owners to others or once the complete property vests with last extant co-owner. This is completely different from joint occupancy or joint possession. If joint possession has four deciding parameters unity in interest, title, possession and time the occupancy is common has 2 characters, unity of occupancy wherever the house owners don't have distinct share and own the property as a full the occupancy in common, every owner has some specific undivided share within the property. This right, is passed to their legal heirs or beneficiaries below can and to not different tenants in common. Their share within the property is as per the terms of contract, or coupled in their investment in property. Within the absence of any proof terms to share within the property is as per the terms contract, or coupled to their investments in property. Within the absence of any proof terms to share in investments. All the house owners have equal shares within the property. Hindu co-parceners are joint body of persons of Hindu undivided joint family. every of the members are associated with the pinnacle of the family inside four degrees. The possession of the property is like that of joint occupancy / possession. wherever every co-parcener don't have specific, distinct separate Share within the property, till partition is accomplished, on death of any co-parcener, the extant co-parceners wherever is inside four degrees to the hand of the family succeeds to the property as a member of co-parceners.Every member for in joint family, acquires the correct within the family by birth. In Benami group action, the person who invests is completely different, and therefore the person to whom property is transferred is completely different. The substance of the Benami group action is that the thought for transfer should result one person and transfer is taken within the name of another person and therefore the thought therefore purchased transfer of the property is nor a present to the person to whose name the property is transferred. The Benami group action prohibition act, 1988 fully prohibits the Benami group action. The act has inherit result from 18th could 1988. Section 3(1) of the act provides that not everybody shall enter into a benami group action, and succession three x four makes benami group action, a criminal offence. principally exception is that the purchase of property within the name of adult female or divorced girl. but acquisition of the property within the name of the adult female of co-parcener is benami group action. Section four of the act doesn't permit any legal proceeding by the important owner to enforce his right against benamidar with some exceptions. once an individual in whose name the property is command as a co-parcener is Hindu, undivided family that command for the good thing about such family and once an individual who is holding the property is trustee Section five are a lot of attention-grabbing. It provides that properties command in benami are subject to acquisition while not compensation. However, benami transactions created before the act don't seem to be unlawful, however can not be implemented intrinsically by courts. In twin possession the land belongs to 1 person and therefore the structure on the land belongs to different person. so the property has 2 house owners, one for the land and another for the structure. this sort of twin possession is extremely common wherever the owner of the Land ceases the Land to a different with right to contract structures on the land and revel in the fruits of such structures. The lease are sure as shooting specific amount. The terms of the lease offer for on however the possession of the structure is to be determined once the end of the lease amount. The possession of structure could depart this world the owner of the land or he could have paid specific amount to the leaseholder of the land to accumulate the possession of the building. typically in most cases the lease are revived. The trust indeed is another mode of twin possession. There are 2 house owners to the property in trust. Trustee and beneficiary. 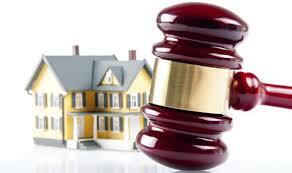 The trustee is that the legal owner and therefore the beneficiary is that the useful owner. The possession of trustee is of special kind. Anyway he's not absolutely the owner, and he needs to abide by the terms and conditions of deed of trust, and therefore the author of the trust. He cannot exercise his rights for his profit that for the good thing about the beneficiary. In English law the possession could of 2 sorts, legal possession and equitable possession. Legal possession has originated from common law and equitable possession from principles of equity.But indian law doesn't acknowledge the possession by equity although sure equitable principles are recognized in India.